Looking to rent a charter bus in Birmingham? 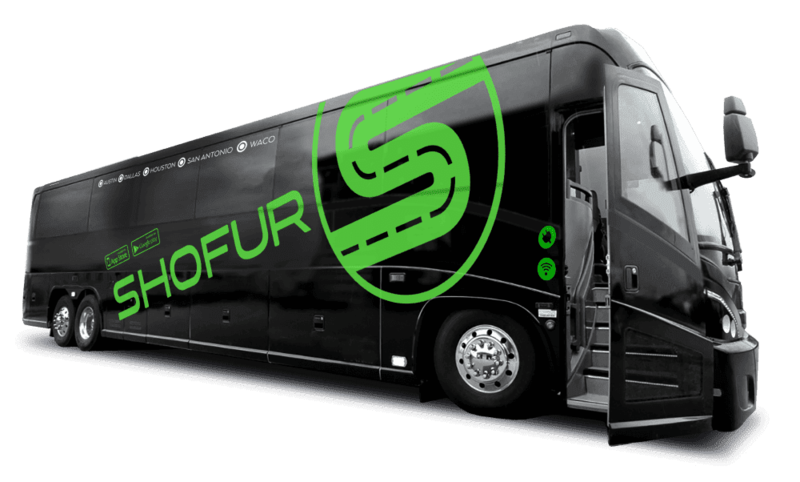 Shofur is here to help you reserve a bus for any occasion. We'll work with you to find the perfect accommodations for your group. Call our 24-hour reservation specialists to learn more today! Birmingham is a beautiful southern city bustling with activity, making it a perfect destination for a rustic wedding, a business conference, a personal vacation, or any other group activity. If you’re planning a group trip to Birmingham, book with Shofur for perfect group accommodations to every destination on your itinerary! Eliminate the stress of planning and let one of our dedicated reservation specialists choose a charter bus or minibus to organize transportation for every passenger in your group. Our network of drivers are highly-trusted, and the buses we charter are top-of-the-line and easily customizable to treat your group to an unforgettable transportation experience. Bus options include compact, 25-passenger minibuses, 55-passenger charter buses, and even entertainer coaches designed to transport up to 12 passengers with private bunks, living spaces, and more. Each bus can be equipped with various amenities that make your ride even more comfortable. No matter where in Birmingham you’re headed or why you’re traveling, let us handle the stress of scheduling transportation-- all you have to do is enjoy the ride! There’s plenty to do in the city, with attractions catering to all types of groups. Students will love catching a minor-league baseball game at Regions Stadium, and kids can enjoy a school field trip to the Birmingham Zoo. Exploring the Birmingham Botanical Gardens or paying a visit to the McWane Science Center is another must-do for visitors of all types. Since 1927, the Alabama Theatre has been used as a movie palace as well as a venue for various other live events. This museum highlights the struggles of the Civil Rights Movement of the 1950s and 1960s with a focus on learning from the past to pave the way for a positive future. Home to over 24,000 paintings, sculptures, and more from cultures across the globe. Birmingham is home to plenty of rustic wedding venues, making the charming city a popular backdrop for nuptials. If you’re in need of reliable transportation at your wedding, trust Shofur to pair your group with a minibus or sprinter van to act as your personal shuttle service between events! Outfit your bus with plush seating, auxiliary plug-ins for music, and other amenities such as WiFi to keep guests and party members comfortable as they travel from one venue to the next. This charming & rustic venue offers southern charm and modern amenities with an industrial backdrop. The Florentine is a new venue located in a historic Birmingham building. Here, you’ll find a cafe and a beautiful ballroom perfect for your wedding. Known as a “hidden treasure” of Birmingham, Swann Lake Stables offers experiences such as horseback riding lessons as well as beautiful weddings. An elegant, vintage estate, Gabrella Manor offers gorgeous indoor and outdoor backdrops for your dream wedding. Celebrate your wedding at this rustic music venue with a beautiful open reception area and a stage for your band. Planning a corporate event or other large group gathering in Birmingham? We’ll provide you with the perfect transportation option for your attendees to ensure a smooth and stress-free event. Book a private minibus to complete airport transfers or transport attendees from their hotel to your event space. Or, bring your employees or clients into Birmingham on a luxurious private motorcoach outfitted with premium modern amenities to keep passengers comfortable and leave a lasting impression on clients. We’ll make sure your event runs perfectly on schedule and handle any transportation concerns you may have. Host an intimate and unforgettable work event with Clubhouse on Highland’s historic charm. This eclectic venue is sure to deliver a unique experience at your next corporate gathering. This newly-renovated hotel offers a classic and sophisticated backdrop for your next business event. This modern coworking space offers meeting rooms of a variety of sizes for small business gatherings. Load your students onto a modern and comfortable 55-passenger charter bus for your next field trip. You won’t need to worry if your students are comfortable on an old school bus; we’ll find you a coach outfitted with air conditioning, entertainment add-ons, and more to keep both chaperones and students comfortable and entertained throughout your trip! While you’re worrying about lesson plans and putting together the rest of your upcoming field trip, we’ll handle the transportation logistics to take the stress out of your field trip planning. Visit the largest zoo in Alabama and witness over 200 species of animals, including endangered species from six continents. 5,600 square feet of museum space will help to educate your students about humans’ environmental impact on the planet. This museum includes a science center, an aquarium, and an IMAX Dome as well as 9,000 square feet of interactive and educational exhibits. Even if you’re not teaching a music class, head to the Alabama Jazz Hall of Fame to help your students gain an appreciation for this all-American genre. With a professional driver by your side, you can travel effortlessly from destinations both within and outside of the city. If you’re looking for a change of pace during your stay in Birmingham, we’ll arrange transportation to suburbs or to any other town that we service. Take a trip over to Montgomery, visit Auburn University in Auburn, enjoy a beach vacation in Mobile, or go out of state to classic cities such as Memphis or Atlanta. We’ll make sure your group travels in complete comfort and safety, with a personalized bus rental and a professional, experienced driver. Shofur’s reservation specialists are available 24 hours a day at 1-800-436-8719 to help you find your perfect bus and to take the stress out of planning your next group trip. Contact us at any time to receive a free, no-obligation quote and learn more about how we can help with your travels! Our high school playoff was dependent on your service and everything went great. Thank you and we will call you again. We want to take a trip from Birmingham to Mobile AL. How many people can a bus fit and how much are we looking at? ? A trip from Birmingham to Mobile, AL starts around $4,680 pricing however may change due to availability. The Charter Bus seats up to 55 passengers.